The Sonos Play:1 offers the perfect entry point into the brand’s outstanding multi-room range. 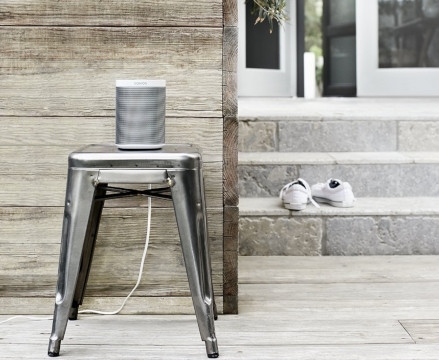 While it might be small in stature, its size belies an incredibly powerful speaker. What’s more, thanks to some clever engineering, sound quality is impeccable across a wide range of frequencies. Best of all, it’s compact size also makes it lower in price, so the Play:1 is ideal for anyone thinking of dipping their toes into the world of high-end bookshelf speakers. In terms of sound quality, it’s impossible to fault the Sonos Play:1. For its size, it is undoubtedly the best-in-class bookshelf speaker. Inside, you’ll find a pair of 80W Class D amplifiers, making it just as powerful as some much larger units. Of course, power isn’t everything, and the Play:1 doesn’t disappoint when it comes to precision. Coping perfectly with both high and low frequencies, it brings a whole new dimension to your listening experience. Whether you use it as a standalone music speaker, or connect it to your TV setup, you won’t be disappointed with the Play:1. 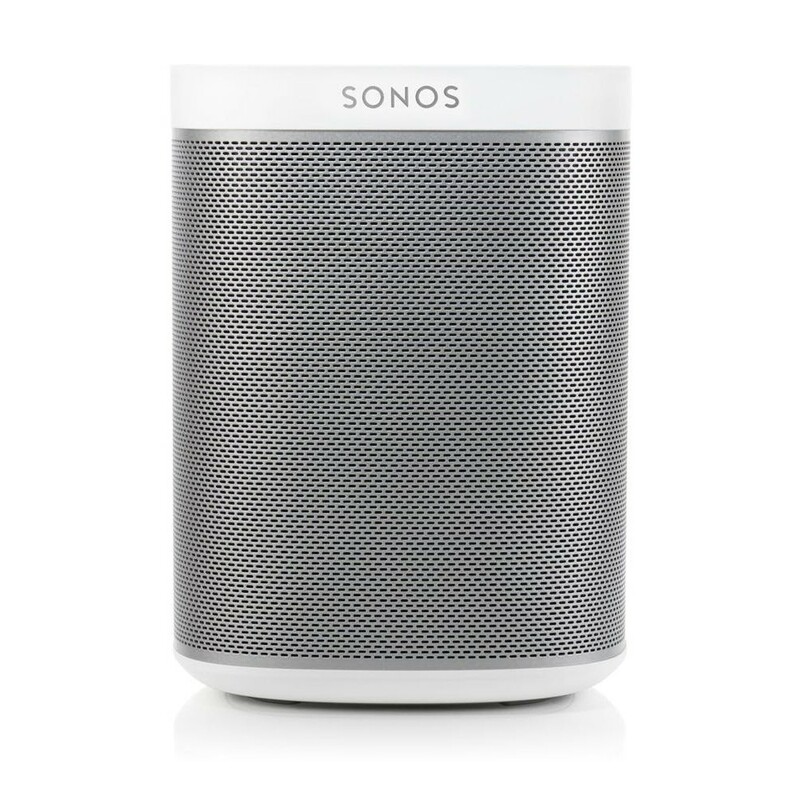 Not only does the Sonos Play:1 sound fantastic, but it looks the part, too. With a stylish, modern design featuring a wraparound steel grille, this isn’t something you need to hide out of sight. Underneath, a flush power cable input keeps the connection tucked out of the way, so there are no unsightly wires to worry about, either. A threaded mount means you can also easily attach the Play:1 to most standard speaker mounts and stands, giving you total freedom about where you place it. 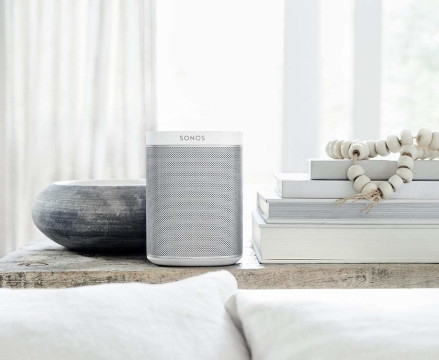 The Sonos Play:1 works using the brand’s very own app, which is the ideal way to stream all your favourite music. With built-in support for over 80 different streaming platforms, there’s a whole world of music to discover. It also means that, unlike Bluetooth, the music doesn’t stop if you take a call on your phone, or want to play something else as well. There’s also built-in support for Spotify Connect, making it easier than ever to start playing instantly. 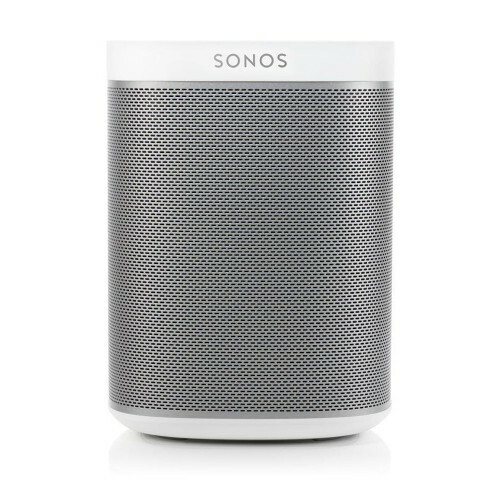 Setting up the Sonos Play:1 genuinely couldn’t be simpler. 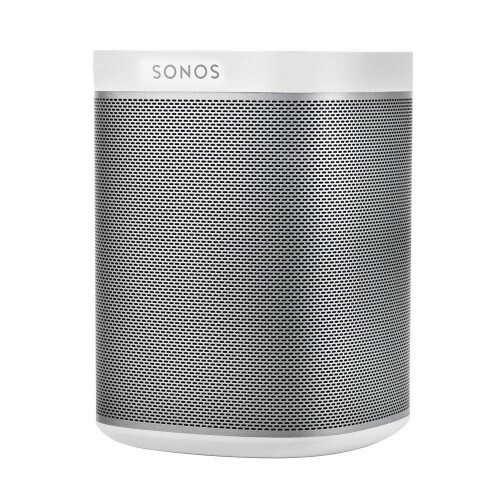 Just download the Sonos app, plug the speaker in, and put in your WiFi password- that’s it. With that done, you’ll be all set to enjoy the speaker’s superb audio quality. Alternatively, plug it directly into your router with the included cable, and it will be connected up automatically. 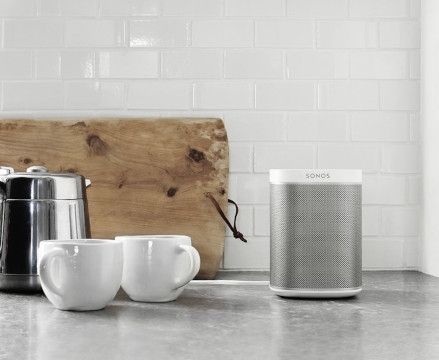 Wherever you place your Sonos Play:1, you can be sure that it will sound perfect. That’s because it uses custom TruePlay technology to calibrate the speaker to the precise size and acoustics of the room around it. Simply download the TruePlay app for iOS, and you’ll be talked through exactly what to do. 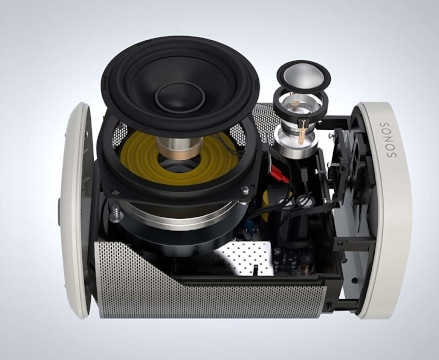 As a Sonos product, the Play:1 speaker has been crafted with multi-room connectivity in mind. While it sounds superb on its own, it really comes alive when you hook it up to other Sonos speakers. 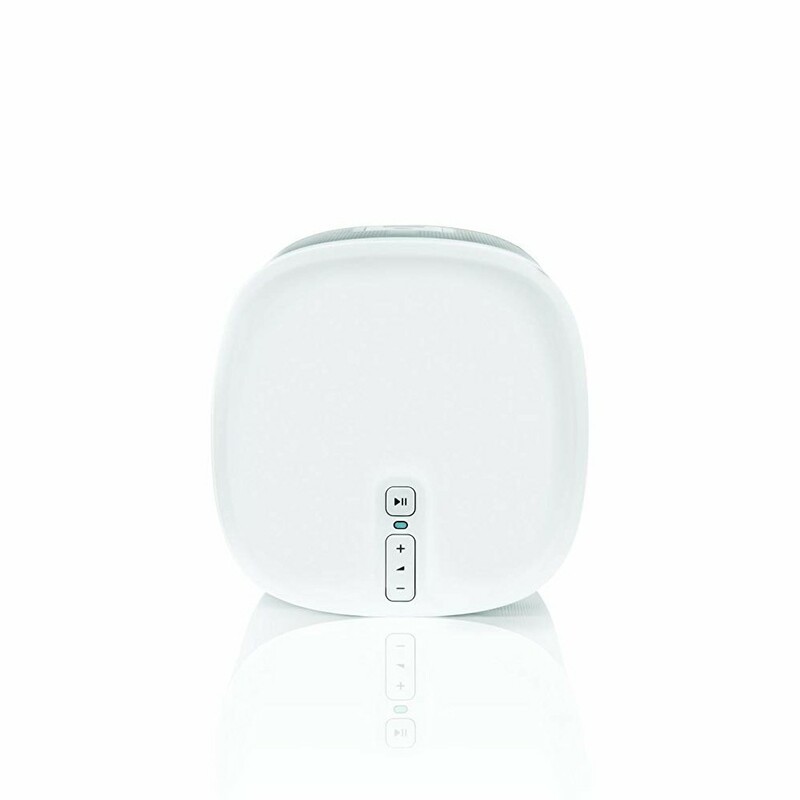 For instance, connect two Play:1s to a Sonos Beam, and you’ve instantly got full surround sound right there in your living room. Place another Play:1 in a different room, and you can have your music follow you about the house. 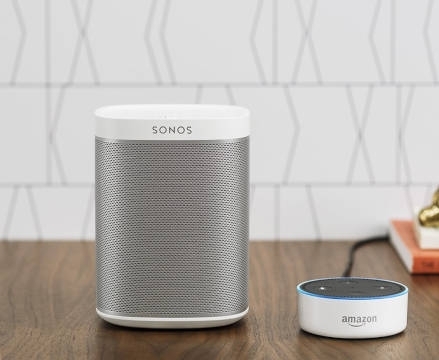 What’s more, the Sonos app allows you to stream different music on each speaker- perfect for creating multiple party playlists.